U Can't Anvil The Truth: Two Montreal Police Officers Caught America's Ten Most Wanted Kingpin??? Two Montreal Police Officers Caught America's Ten Most Wanted Kingpin??? 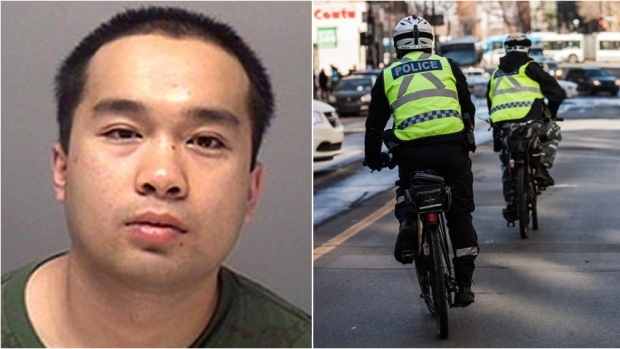 Two Montreal patrol officers on bikes are being lauded by their superior after their quick thinking resulted in the accidental capture of one of America's most-wanted fugitives.The officers, whose identities are not being released, were responsible for the arrest of alleged drug lord Katay-Khaophone Sychanta. kingpin in an international drug and money smuggling ring. He was on the U.S. Department of Homeland Security's list of ten "most wanted." for drug-related charges. He's also suspected of being responsible for the smuggling of cash, guns, cocaine and heroin from the United States into Canada. Before his arrest, his whereabouts were unknown. U.S. Immigration and Customs Enforcement (ICE) believed he could have been hiding in the United States, Mexico, Canada or Asia. ICE also noted he has a history of threatening Homeland Security special agents and he should be considered "armed and dangerous. "Sychanta is a dual citizen of Laos and Canada. Another manufactured arrest by the two police officers that aren’t police officers by the numbers. The picture decodes to a 113 which affirms that This is a Hoax along with the other decodes.